The Bengals gave running back Cedric Benson a second lease on his NFL life last season after he was released by the Bears, and the back and the team have now agreed to keep that relationship going. 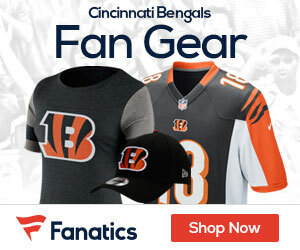 Today the Bengals official team site announced that the back will be coming back after signing a new deal with the club. Benson had talked to Houston, but instead appears to be on the verge of being a starter with the Bengals, where in Houston he would have backup up Steve Slaton. Last season he ran for 747 yards and two touchdowns after coming to the team after the 4th game of the season. The back finished the year with back-to-back 100-yard games that included the biggest rushing day by a Bengals back in 68 games when he went for 171 against Cleveland. Benson had been released by the Bears following two offseason arrests in Texas. Those cases were dropped when grand juries declined to indict.